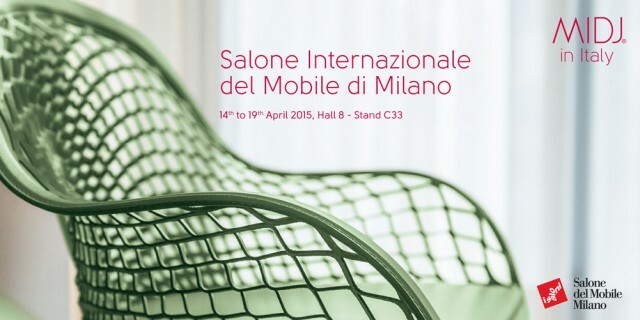 Salone del Mobile, Milan, April 12-17, 2016. Design Paolo Vernier. We present the armchair version of the Nene chair one of best seller in Midj. 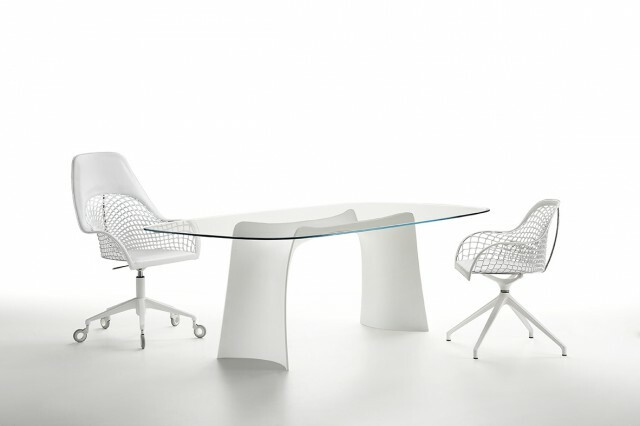 The armchair is made entirely in polypropylene, suitable for indoor and outdoor use thanks to the anti UV rays treatment. It is stackable and lightweight, Nene is suitable to be used in the most different spaces. Midj Design R&D. 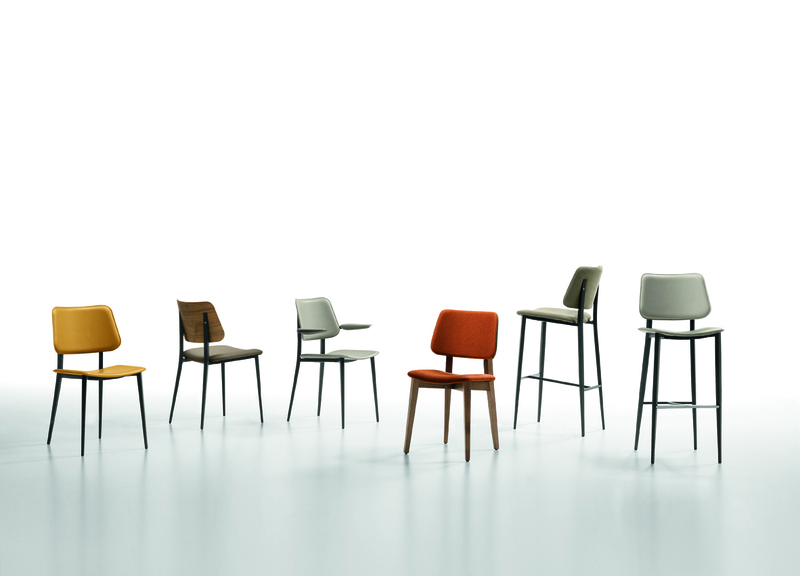 Presented last year at the Salone del Mobile, the Joe collection grows with the arrival of the chair and stool version. 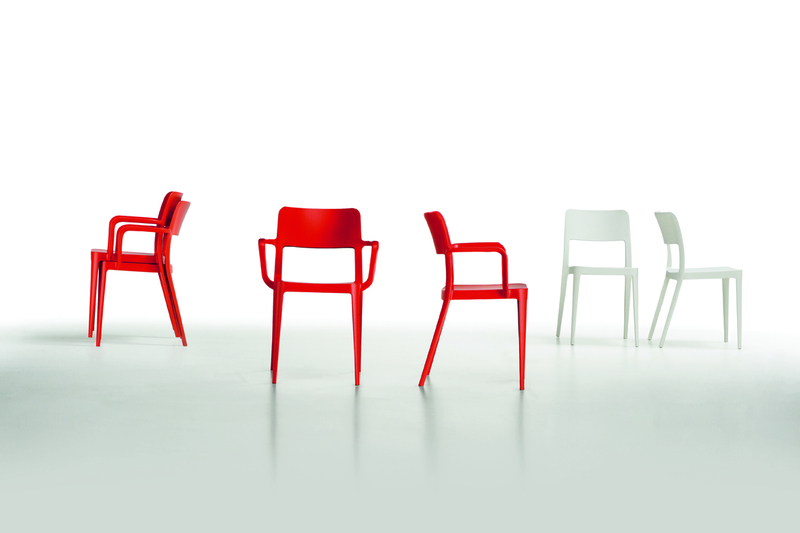 The shapes of the Joe collection reminiscent of the old '70s chairs. Its vintage design can be personalized by choosing between the lacquered steel or wood structures. Seat and backrest open up many possibilities: to have them matched and choose from the fabric or leather upholstery, having a wooden back face or choose them both in wood. Thousands of possibilities to make each piece unique. Design Maurizio and Silvia Varsi. 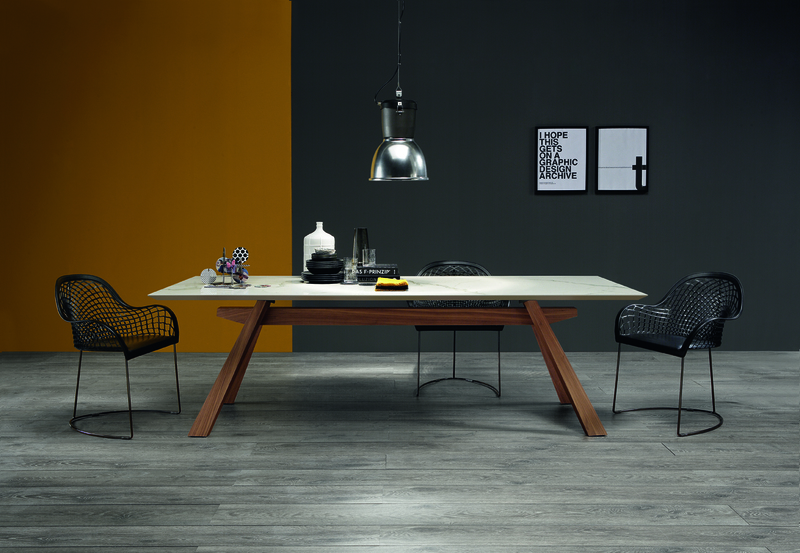 The table is inspired by the simple but genius refectory table used in ancient monastery. The result is a modern and elegant restyling of the original model: it maintains the structural wooden characteristics but increased the contemporary design which makes it suitable for living rooms. Zeus introduces the marble in the Midj collections. Many other news will be revealed in preview April 12th-17th, pad. 8 stand C33 D30. 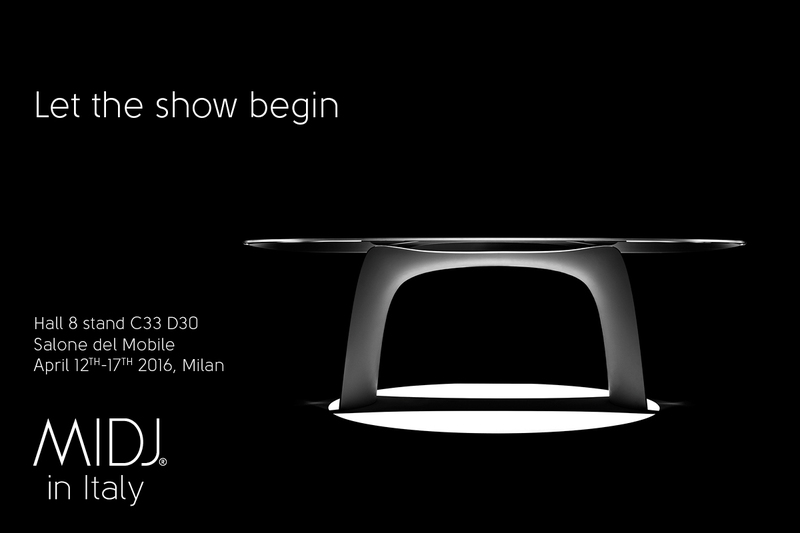 Midj will paricipate at the “Salone del Mobile” in Milan from April 14th to 19th. Guapa expands its collection with the new office solution.